Winter Conference 2019 - Registration Now Available. Registration for the annual ACEC New York Winter Conference is now available! The Winter Conference is the premier business event of the ACEC New York calendar. Over 300 professionals from the engineering industry attend this conference each year. The main program track caters to principals and other engineering professionals, with sessions featuring top people from state and city agencies and authorities. This conference also features two additional tracks with programming for CFOs/business managers and emerging leaders. NEW This Year: The Winter Conference will feature additional program track for HR personnel. Join your fellow professionals and experience opportunities for networking, collaboration, idea sharing, and relationship building that can’t be found anywhere else. Visit the event website for a full agenda and to register online. Reminder: Engineering Excellence Public Client Policy. ACEC New York wants to recognize public client representatives for their involvement in winning Engineering Excellence projects. We ask that member firms identify those people involved in your project, but do NOT contact them directly about the event. ACEC New York will invite them as a guest of the association, and we will pay for that ticket. Under the state’s ethics regulations, New York’s public employees are unable to accept an invitation or dinner ticket from a firm that does business with their agency. Information on client invitations will be distributed to winning firms in early 2019. 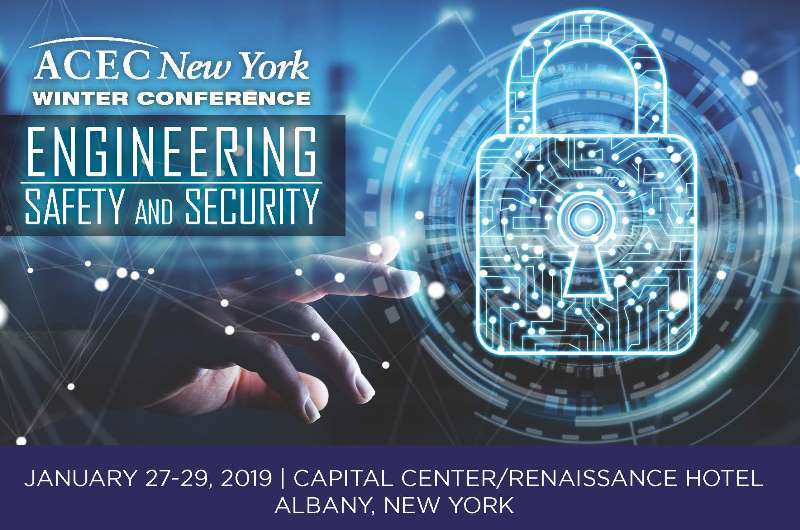 If you have questions, please contact the ACEC New York Albany office. New Emerging Leaders Program: January 9. On January 9, Scott Frank (Jaros, Baum & Bolles) and Josephine Zurica (Dagher Engineering) will present a special program for Emerging Leaders, "Legislation Drafting Through the Lens of the Energy Codes Committee" at the office of Jaros, Baum & Bolles, who are sponsoring the program. For more information on this event and to register, visit the event website. December 4, 2018, "Momentum Builds for Infrastructure Improvements” New York Real Estate Journal.